We have been specializing and providing services for RVs for 27+ years. We provide services for all makes and models from new to old. We provide a variety of services including insurance and warranty repairs. We also have a service van that can come to your location and well as a repair shop located in Decatur, AL. We have a parts store that contains the most to the popular items. We can also order anything that we do not have on hand. Looking for a part or just need some everyday camping items? Come see our parts store. We will be happy to help you find what you are needing. The owner of Andy's RV Service has been specializing in RV repair for 27+ years. We strive to provide you with professional and friendly service. We are a family owned business and understand that you want the most out of your camping experience. We can provide any type of work from everyday maintenance to insurance and warranty claims. 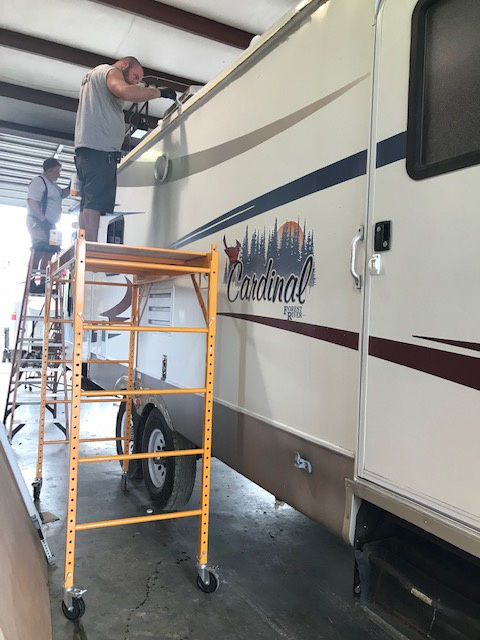 Andy's RV Service appreciates you considering us to be your repair shop and we look forward to having the opportunity to work with you. Have you checked you roof since all this rain? Do you have cracks or leaks around your sealants? We help our customers sell their RVs. If you are looking for one to buy or sell, contact us today for more information.